I’m back, baby! Well, not exactly “back.” And there is no “baby” that I’m addressing. Let me start this over. I’m visiting Brooklyn, where I used to live and often wish I still did! No, doesn’t have the same ring. Anyway, I am indeed visiting the sections alternatively known as brownstone Brooklyn, yuppy Brooklyn, greater Gowanus, and Park Slope. Technically, as I type, I think I’m in Cobble Hill. It’s 14 degrees outside but I don’t care. Walking around and seeing the bundled up locals and interlopers alike, I get nostalgic for the first time I moved to Brooklyn in 1996. At that time I was at 8th Avenue and 3rd Street, a block away from Prospect Park. It was a $575 studio, well maybe “efficiency” is a real estately correct word. It was on the fourth floor and faced an air shaft. My couch was also my bed. My dresser was also my TV stand. My kitchen table was also my desk. You get the idea. But I loved it. I had a Wall Streetish editing job, so I had to walk about four or five blocks to the 1/9 train. At the time, I did most of my socializing in Manhattan, so there were some late nights of tottering home. But once I got home it was my sanctuary. It wasn’t until I moved to my second apartment — this time less than a block away in the Windsor Heights neighborhood — that I really started to appreciate Brooklyn. I practically lived in the park from spring through summer, I haunted the Brooklyn Public Library, and I meandered up and down Seventh Avenue like it was my job. I moved to Manhattan when I flukishly got into Columbia Journalism School. It wasn’t easy saying goodbye to that one-bedroom third-floor walk-up on 16th Street. But I figured that going to this prestigious school would light the fuse that would ignight my journalism career. The rest, as they say, is mystery. 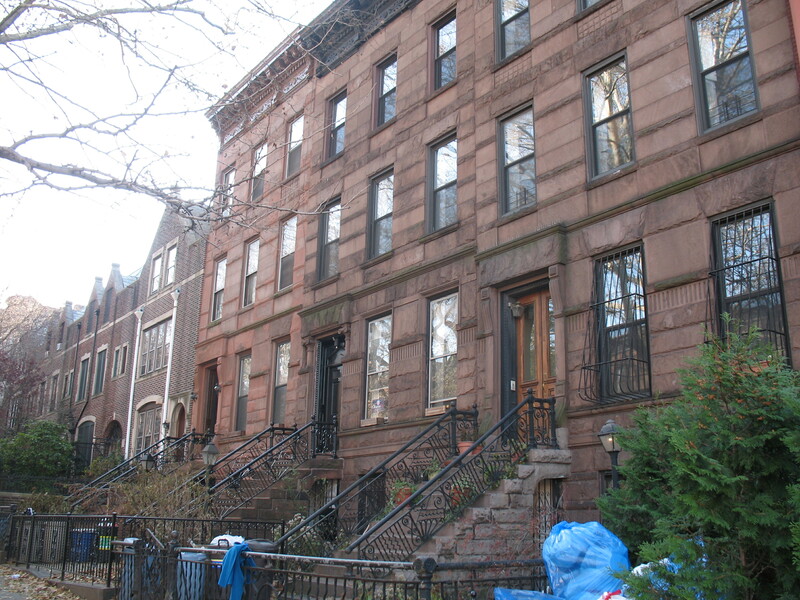 Returning to Brooklyn at the end of 2001, this time to Carroll Gardens, opened up my love for the borough once again. But again, it wasn’t Bedford-Stuyvensant or Coney Island, wherever those places are. It was the cozy, older-than-hipster enclave that was Smith and Court Streets. In the two years I’d been away, more post-grads had found sanctuary off the F train, and like them my girlfriend and I found locals to rent to us: a one-bedroom apartment for $1,600 dollars a month. We stayed for only a year and lived at the restaurants, especially the ones on Smith Street. The bars have come and gone, but most of the restaurants are still there: Robin du Bois, Cafe Lulu, Zaytoons. If you’d like a glimpse of what this world is like, just watch rereuns of Bored to Death. Not saving much at $1,600 a month, we moved to the certainly obscure neighborhood called Kensington. It was, as we always described it, on the far side and not far from Green-Wood Cemetery. The rent was a little cheaper, $1,100 or so if I remember correctly. But it was a haul. I remember one birthday when people nearly froze to death walking from the F-train. It was the most mixed neighborhood you could imagine, however, especially if you were from prodominantly white version of suburbia like I am. We lived below Puerto Ricans, there were Asians of some variety (that sounds racist, but I don’t mean to be), Russians, Indians, and many Hasidic Jews. Now, though, instead of Prospect Park, I walked through the cemetery, which was a lonelier experience. We stayed for a year and moved to Connecticut. And now I still live in Connecticut. Alone. But not right now. Now I live in Brooklyn, in a coffee shop, nestled in the bossom of a world I love. This entry was posted in Nonfiction and tagged Brooklyn, nostalgia. Bookmark the permalink.